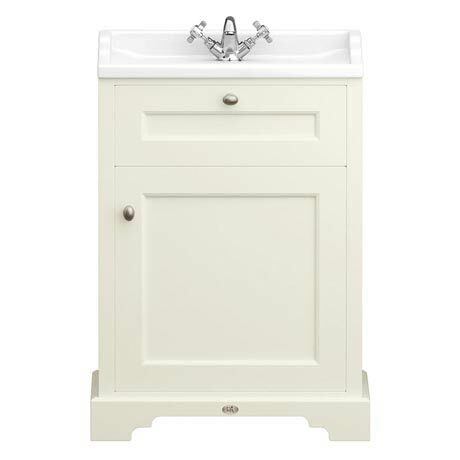 A luxury single door vanity unit and basin beautifully finished in Ivory from our exclusive Downton Abbey range. The stunning collection of period inspired furniture, sanitary ware and brassware captures timeless elegance and truly will give any bathroom a graceful quality. The unit is crafted to the highest standards and features elegant brushed satin nickel handles with panelling detail, whilst the gloss white ceramic basin comes with the option of 1 or 3 tap holes. Please note: tap shown not included.